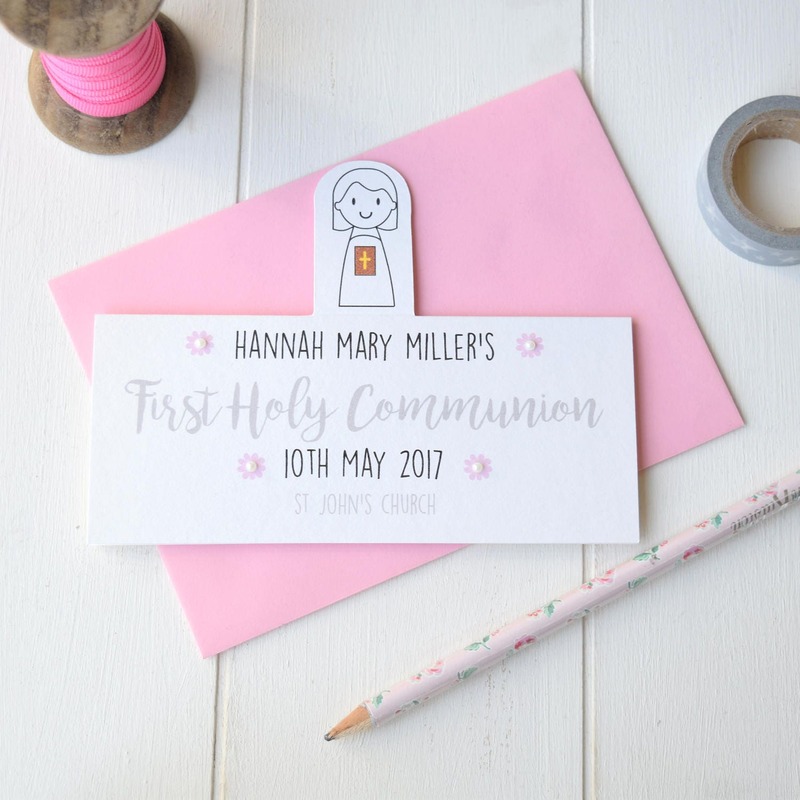 This is a sweet personalised First Holy Communion or Confirmation card. 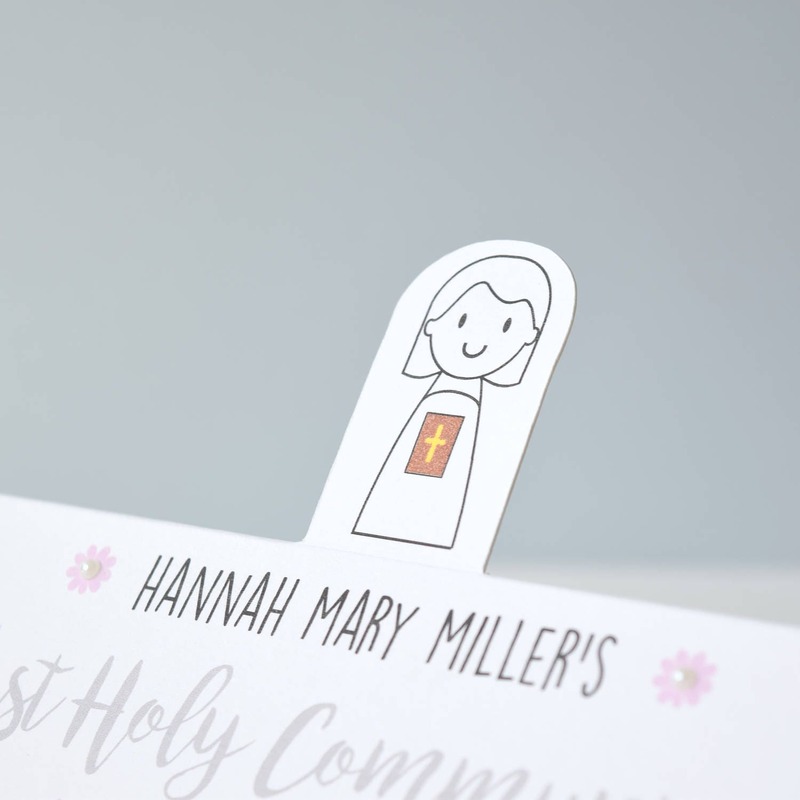 Each card is beautifully printed to order with a cute little girl standing along the top of the card dressed in white holding her bible. 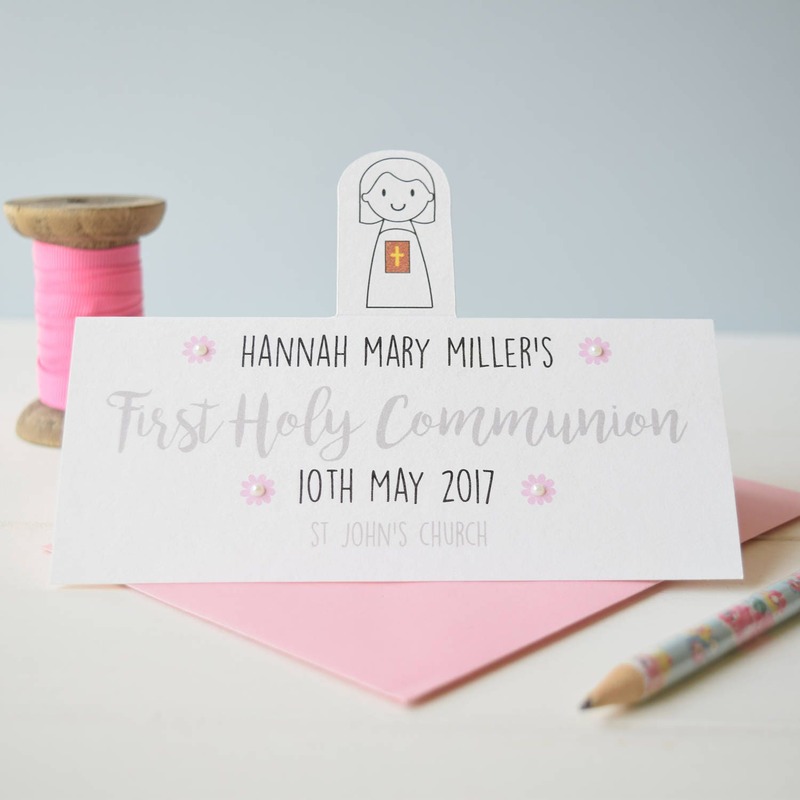 To personalise the card pleased select to print either "First Holy Communion" or "Confirmation" from the drop down menu. In the message to seller on check out please enter the name of the girl, the date of the service and the church where it will be held. 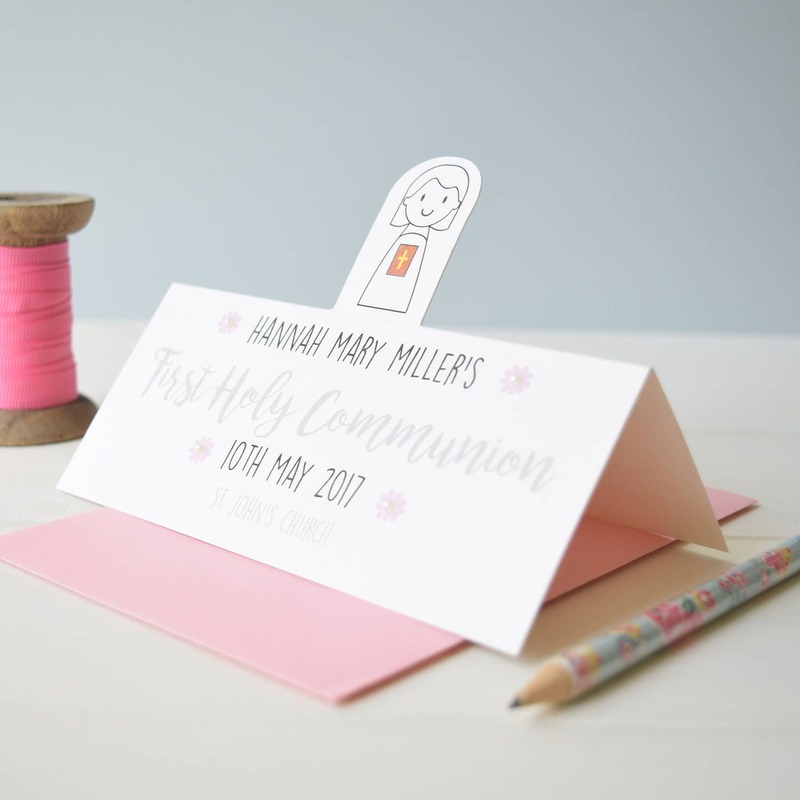 Each card comes with a baby pink envelope and the inside is left blank for your own message.